Incumbent Republican Sen. Ted Cruz has defeated Democratic challenger Beto O’Rourke in Texas. The Western Journal was the first to call the race for Cruz. Money flowed freely into this race as liberals and conservatives poured campaign donations into the contest. Even before the end of October, the race had broken the $100 million barrier, The Texas Tribune reported. The website Open Secrets listed the campaign as the new record holder for the most expensive Senate race ever, breaking a previous record of $92 million in the 2000 campaign in New York state in which Democrat Hillary Clinton was elected to the Senate over Republican Rick Lazio. 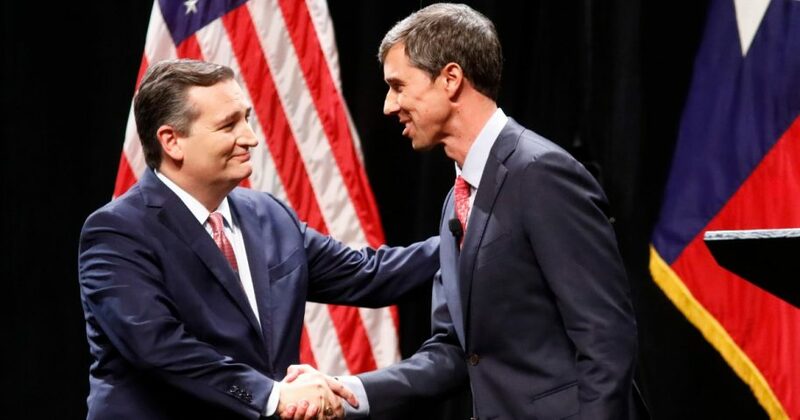 Despite having the edge in campaign cash, recent polls showed Cruz leading, prompting some campaign postmortems about O’Rourke even before the polls closed. “There needed to be more resources spent around Beto, more organization and more fundamental work done to turn out the base,” said Matt Angle, president of the liberal Lone Star Project, Politico reported. Are you surprised Cruz won? Another commentator said moderates were neglected. “Everything Beto did to define his campaign early on was about process and anti-corporatizing politics. It really wasn’t issue-based. It was about getting to every county in Texas, talking to people in small towns, hosting town halls,” said James Aldrete, a Texas Democratic strategist. O’Rourke “never made a political adjustment to reach out to the middle,” Aldrete said. However, on the race’s final weekend, both sides agreed that turnout would determine the outcome. “If you look at the dynamics, we’ve got numbers on our side. There are a lot more conservatives than there are liberals,” Cruz said in a “60 Minutes” interview broadcast Sunday on CBS. O’Rourke agreed that participation was critical. “This election may not come down to ideas, personalities, or even money, so much as who shows up. Early voting in Texas has shattered expectations, up more than 500 percent among young voters from the previous midterm,” he said, according to CBS.